Experienced divemasters will give advice on each of these aspects to ensure safety and the best experiences. Divers can bring their own equipment or it can be rented in Puerto Ayora (Santa Cruz) or San Cristobel. Dive belt and weights are normally available on board boats. Currents and surges are often encountered in the waters around the islands and divers must be prepared for these. It is essential to wear proper gloves in case of contact with sharp rocks or coral. Waters are also often surprisingly cold because of the influence of the Humboldt Current. Thicker wetsuits and hoods are therefore advisable. Thicker suits also affect buoyancy, so weight checks are also essential. 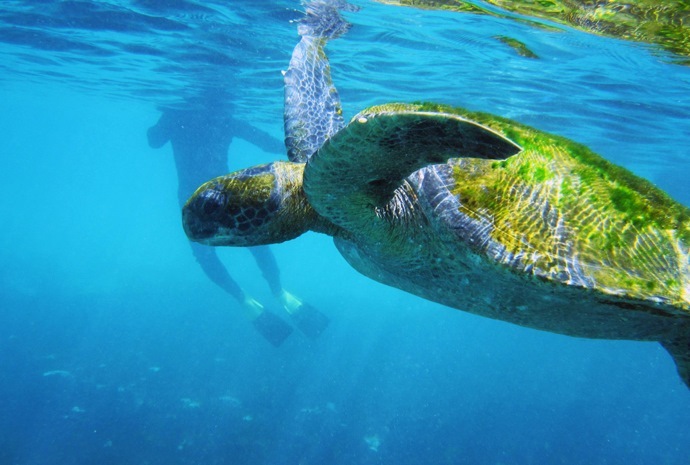 Galapagos dive guides: Expert dive Instructors and a dive masters are also naturalist guides certified by the Galapagos National Park Service. The guides are qualified divers with essential knowledge of specific diving locations with their respective interest and dangers. 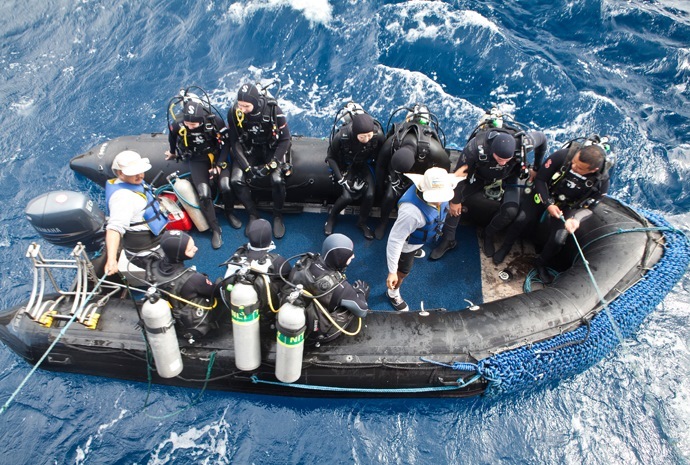 Dive equipment: Divers are required to bring their own dive equipment, including: Mask, fins and snorkel, regulator, depth and pressure gauges, bottom timer or dive watch. Buoyancy compensator device (BCD), Dry suit or thick wet suit (1/4” or 5-7mm), hood and gloves,. Optional items: Underwater camera, video camera, dive computer. Safety Equipment: Please check with us as this list may vary depending on the vessel and what’s available on board. Important: Don’t forget your “Open water diving certification. 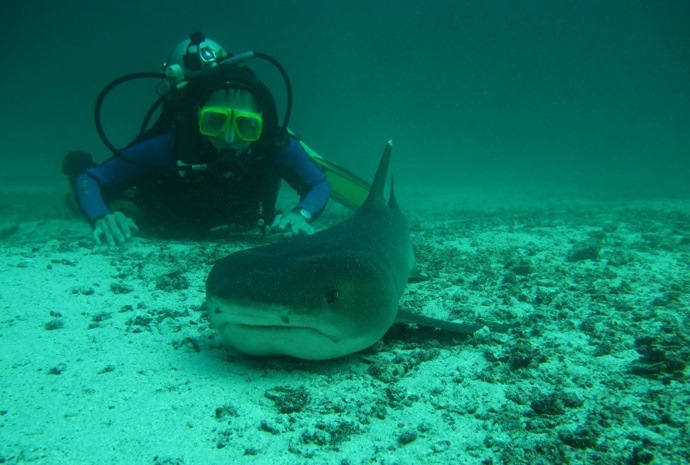 Diving with Hammerhead Sharks – All year around the islands of Wolf and Darwin.